TEHRAN, Iran — The Oscar for Asghar Farhadi's "The Salesman" energized many of the filmmaker's fellow Iranians, who saw the win for best foreign film Monday as a pointed rebuke to the Trump administration and its efforts to deny them entry into the U.S.
Farhadi refused to attend the Academy Awards, announcing after the temporary U.S. travel ban was initially imposed last month for citizens of seven Muslim-majority countries that he would skip it even if an exception was made for him. Iran was one of the seven countries affected by the measure, which has since been blocked from being carried out by a federal court ruling. "The Salesman" — about a couple performing Arthur Miller's "Death of a Salesman" and their attempts to find peace and justice after the wife is attacked at their Tehran apartment — had become a rallying cry for immigrant rights after the travel ban. The six nominated directors in the foreign language category had put out a joint statement ahead of the award decrying what they called the climate of "fanaticism" in the United States and dedicating the award to the promotion of "unity and understanding" regardless of who won. 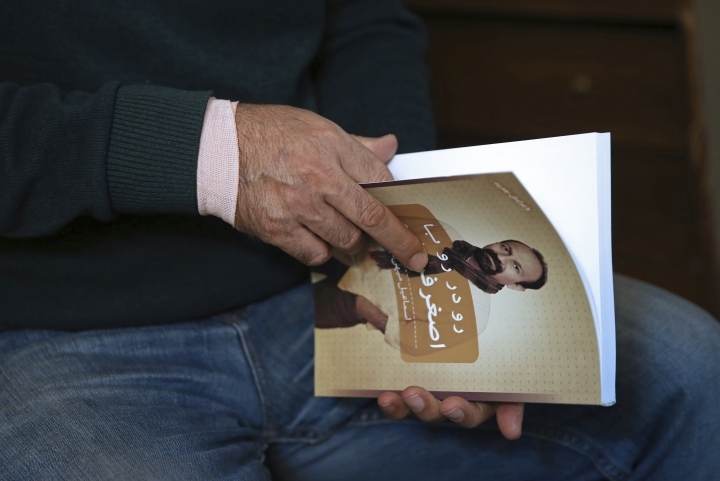 Film critic Esmaeil Mihandoost, who wrote a book about Farhadi, told The Associated Press that thanks to the boycott, the film director has now "more influence on public opinion than a politician." "It created an exceptional opportunity for criticism" of Trump's policy, he added Monday. The award was the second Oscar for Farhadi, after his film "A Separation" won in the same category for 2012. Iranian Foreign Minister Mohammad Javad Zarif said he saw the prize as taking a stance against Trump's executive order. "Proud of Cast and Crew of "The Salesman" for Oscar and stance against #MuslimBan. Iranians have represented culture and civilization for millennia," he tweeted in English. Vice President Ishaq Jahangiri praised Farhadi both for the award and for boycotting the ceremony, calling it a "priceless action." 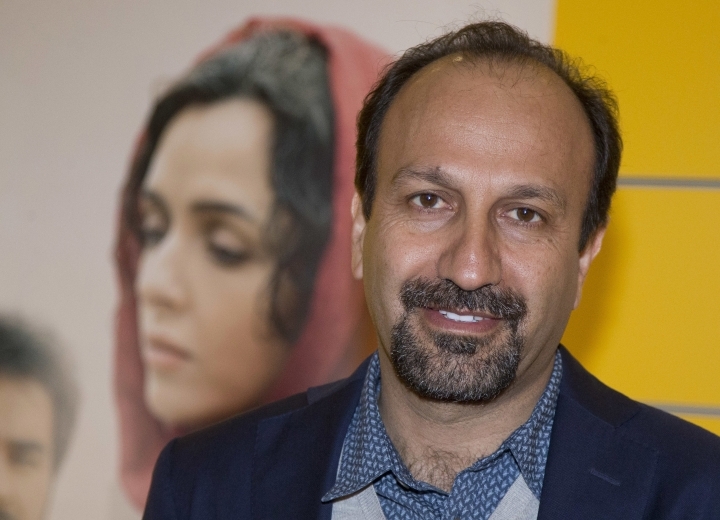 State radio and television briefly reported on Farhadi's Oscar, while Tehran film daily Banifilm ran an op-ed saying that Trump had "probably never imagined what contribution the travel ban would have for Farhadi's film." The trade paper said the executive order had likely propelled "The Salesman" to victory. Trump's victory has prompted concern among many in Iran, particularly in the wake of a 2015 nuclear deal with the U.S. and other world powers that led to the lifting of crippling economic sanctions. The Trump administration earlier this month said it was putting Iran "on notice" after it test-fired a ballistic missile. Many Iranians learned of the Oscar win from social media. "I am proud of this," Mahbod Shirvani, a 19-year-old music student said outside the campus of Tehran University. "It shattered the U.S president's stance on Muslim nations. It showed that American people and artists are against Trump's policies." Davood Kazemi, 21, who studies painting, said the "award showed Trump cannot stop international figures and he cannot thwart artists' solidarity that has formed, regardless of race, nationality and religion." Iranian news websites published cartoonist Bozorgmehr Hosseinpour's sketch depicting Farhadi playing chess and using a small Oscar statue to knock out an unseen opponent's last chess piece, a figure resembling Trump. 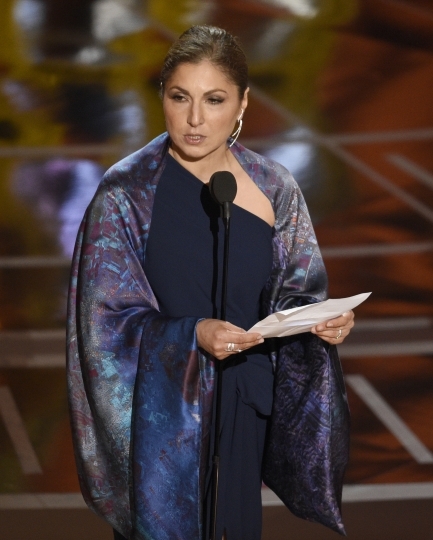 In a statement read out at the Oscars ceremony on his behalf by Anousheh Ansari, an Iranian-American astronaut, Farhadi said the empathy filmmakers can foster is needed today more than ever. Ansari was joined onstage by another accomplished Iranian-American, Firouz Naderi, a former NASA director. "I'm sorry I'm not with you tonight," Farhadi's statement read. "My absence is out of respect for the people of my country and those of other six nations who have been disrespected by the inhumane law that bans entry of immigrants to the U.S."
"Dividing the world into the 'us' and 'our enemies' categories creates fear," it said. Associated Press writer Linsey Bahr in Los Angeles contributed to this report.